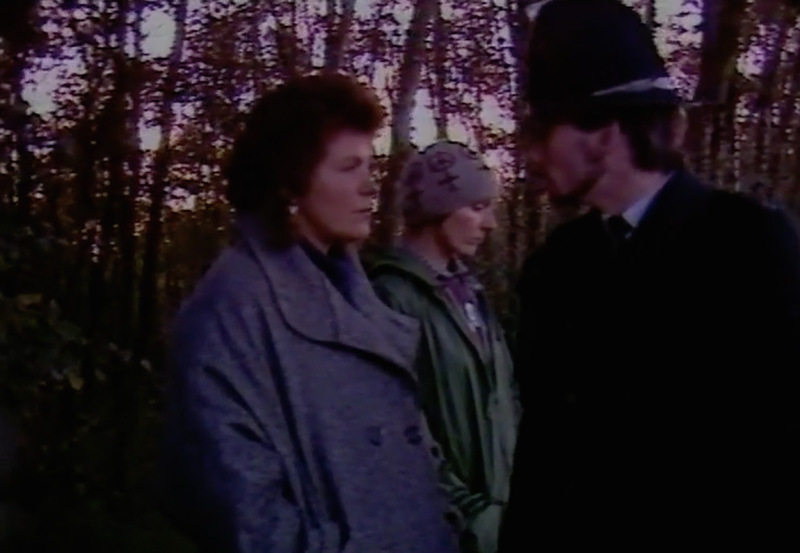 Fence cutting at Greenham Common, film still from Can’t Beat It Alone, Part IV, 1985. Women leaving Holloway Prison, Holloway, London, UK, March 1983, unattributed photograph from Greenham Women Everywhere by Alice Cook and Gwyn Kirk, Pluto Press Limited, London, 1983. On the occasion of Converge 45, Ellen Lesperance will publish Peace Camps, a novel partially set in the Greenham Common Women’s Peace Camp in Berkshire, England. The exhibition, titled The Subjects, will feature the book, published by the Portland arts press Container Corps with illustrations by Jeffry Mitchell, as well as archival photographs, source materials, and other texts linked to the all-woman, direct-action, anti-nuclear-proliferation occupation established outside the Greenham Common Royal Air Force base from 1982 until 2000. To view The Subjects, visitors are invited to access the foyer of the Museum’s Crumpacker Family Library on the second floor of the Mark Building (1119 SW Park Avenue) Tuesday through Friday 10 a.m. – 4 p.m. In addition to the publication and ephemera, the exhibition will host a reading in the Library at 5:30 p.m. on August 9. The Museum will also present Lesperance’s W.I.T.C.H. 1985, produced in collaboration with the curatorial project Zena Zezza, in the Jubitz Center for Modern and Contemporary Art. 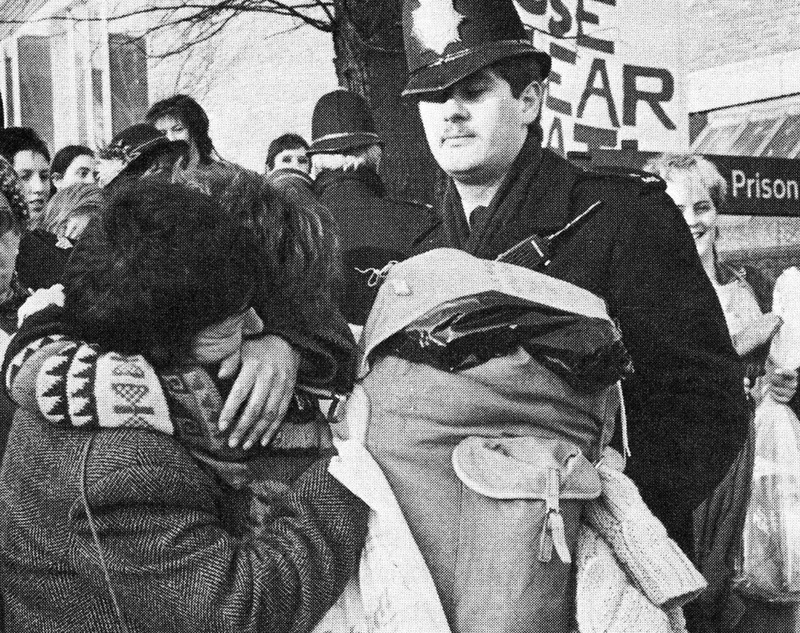 Sited on the fourth floor of the Center, this sculptural installation consists of thirteen cloaks recreated from a scene of the 1985 made-for-television video called Can’t Beat It Alone that included footage from the Greenham Common Women’s Peace Camp. Lesperance faithfully recreates a cloak worn by a protesting individual: black, hooded, and with various popular 80s-era women’s power symbolism. This unusual and theatrical robe also heralded the wearer’s probable affiliation with W.I.T.C.H., or the Women’s International Terrorist Conspiracy from Hell, a radical socialist feminist group founded in New York City in 1968. Lesperance’s thirteen cloaks feature embroidered components, beaded components, and multiple silkscreen printed surfaces; they were produced by Portland Garment Factory in Portland, Oregon with additional fabrication by the artist and Hand and Lock, London. W.I.T.C.H. 1985 is part of Zena Zezza’s longer-term artist project season, Ellen Lesperance: Land of Feminye, February through June 2018. Ellen Lesperance’s work has been exhibited across the United States and is represented in the collections of the Elizabeth A. Sackler Center for Feminist Art at the Brooklyn Museum; the Museum of Art and Design; the Portland Art Museum; the Bill and Melinda Gates Foundation; and the Kadist Art Foundation. She has been awarded the Betty Bowen Award (Seattle Art Museum), a Ford Family Fellowship in the Arts (Oregon), and a Pollock-Krasner Foundation Grant. She received her MFA from Rutgers University in 1999 and has had residencies at the Skowhegan School; the MacDowell Colony; the Djerassi Foundation; and the Atlantic Center. Her work has been featured in frieze, AnOther, ArtUS, Art Monthly, Cura, GARAGE, Guernica, the Los Angeles Times, the New York Times, the Oregonian, and Tema Celeste. Converge 45 is a curatorial-driven arts platform that engages audiences and artists in Portland, OR, connecting the city in a global dialog through the vision of leading curators. Experimental in nature, the curatorial model for Converge 45 functions on a three-year cycle, in which a Guest Curator is invited to shape a platform working with institutions in Portland and throughout the state of Oregon. The Guest Curator is granted a tremendous amount of autonomy to define a broad intellectual framework and create a program aimed at connecting regional, national, and international artists. “45” refers to the proximity to the 45th parallel.